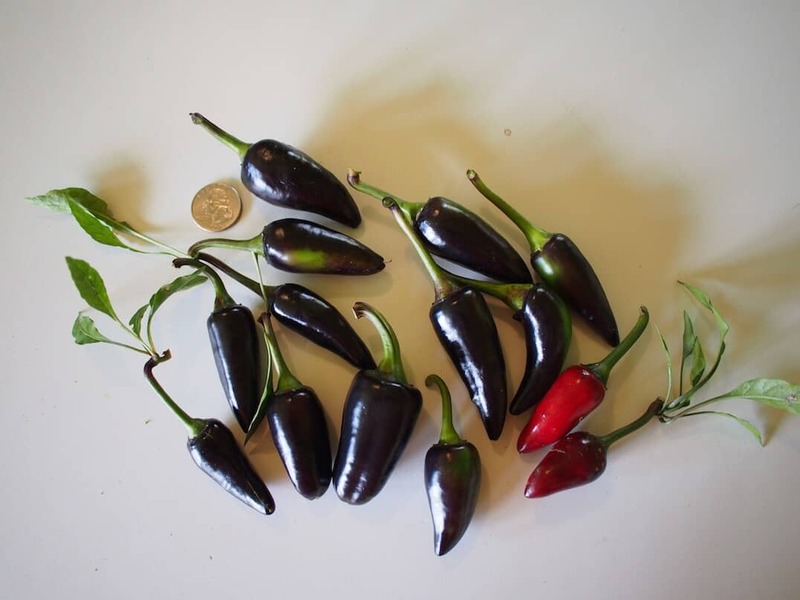 Wondering where that chili pepper heat comes from? Look no further: capsaicin. It’s the little compound that could when it comes to heat. It’s the active force behind the pungency of chili peppers, the driver behind the Scoville scale’s heat units, and that’s not all. There are some amazing health benefits to it too. Capsaicin was discovered and extracted by Christian Friedrich Bucholz in 1816, just two short years before his death. What he had extracted was rather impure, so further work by John Clough Thresh and finally Karl Micko led to isolating and extracting the compound in pure form. It received its current name in 1876, though Bucholz originally called it capsicin. The name itself comes from the genus of nightshade flowering plants from which it was originally extracted (Capsicum). We’ll keep the hard science out of here because explaining the science of compounds is rather complex (and a bit boring) for the layman. For chemical breakdowns of the compound, check out Wikipedia. It does an excellent job with explaining the advanced science in relatively basic language. At the center of how it works is simply that it’s an irritant to all mammals. 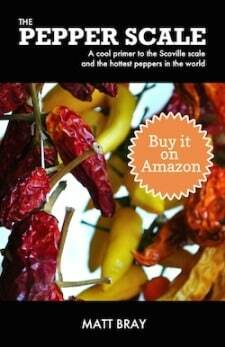 Yes, when you are eating a hot pepper, you are actually ingesting an irritant into your system. This is an irritant that causes a burning sensation really anywhere where there is direct contact with tissue. That can be your mouth, your hands, and even your eyes. If you’ve rubbed your eyes after touching something as mild as a jalapeño, you know what I mean. It’s not pleasant. 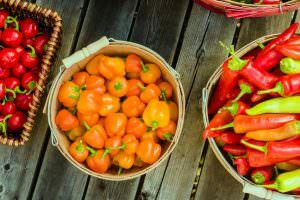 It’s theorized that the peppers and other plants with high levels of capsaicin have evolved as such as a protective measure against being eaten by mammals or attacked by various fungi in the wild. But for us chiliheads, that capsaicin has the exact opposite effect. The heat adds something amazing and there are real health benefits as well. You not only find capsaicin in hot peppers, you also find it in many products like capsaicin pills, capsaicin creams, cayenne pepper pills and a whole lot more. They are all purchasable from your local pharmacy or via online retailers, no prescription needed. 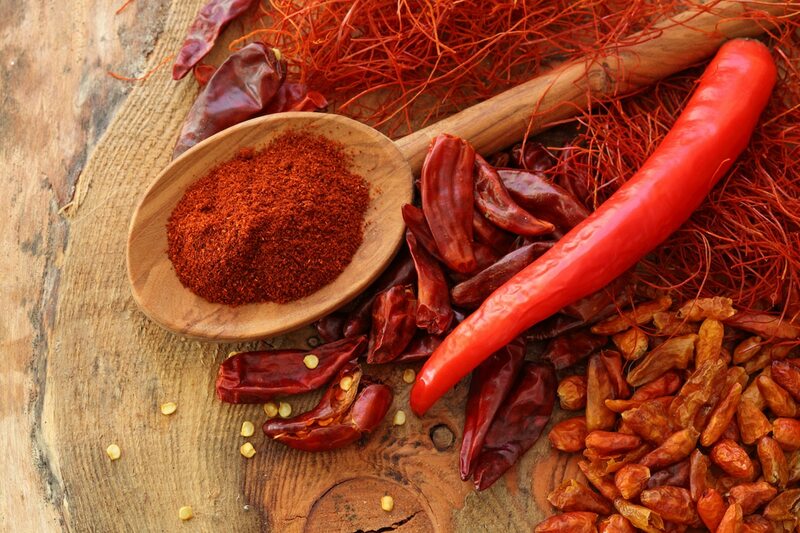 You may be asking, “Why in the world would I do that?” Well, there are some amazing benefits to capsaicin, and millions of people daily swear by them, whether that’s through eating chili peppers or in pill form. It’s a top natural pain relief treatment. The endorphins released from eating or using capsaicin notch your body up to a heightened level, so much so that pain seems to just go away. It’s really great for natural pain management. It’s a great metabolism booster. For the same reasons as the pain relief. It kicks your metabolism up a notch. It can even replace caffeine in terms of increasing alertness. It’s an effective arthritis treatment. 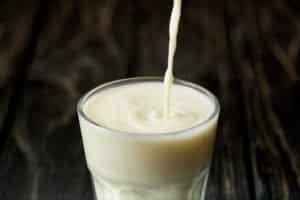 For the same reason as why it works for general pain, it’s one of the best natural remedies for arthritis out there. Certain studies show it as an effective appetite suppressor. If you are looking to lose a few pounds in a healthy way, eating foods high in capsaicin or taking the pills may just work. 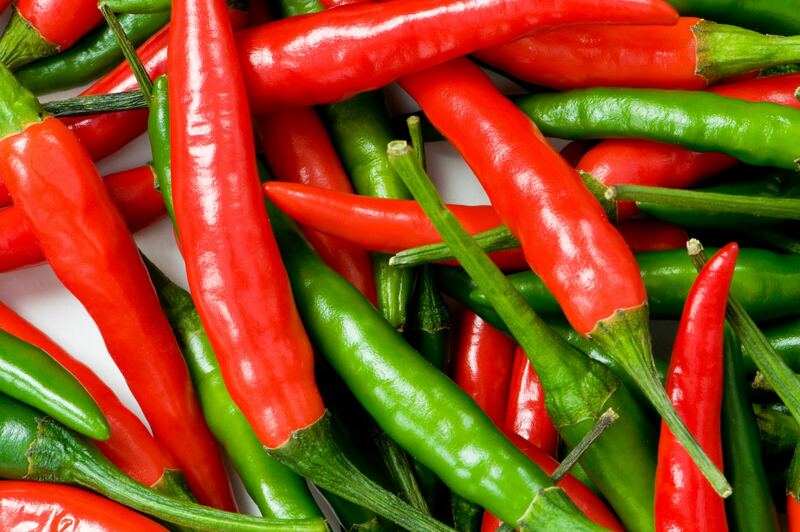 Other studies show that capsaicin may kill prostate cancer cells. Like the appetite suppression, this is not totally proven but they have been linked. There have even been studies that show that people taking capsaicin have a lower chance of ever getting prostate cancer, making this a no-brainer for preventative care. It may cure heartburn and help clear ear infections. Again, in certain studies, capsaicin has proven effective for these physical issues. Best of all, there are no known side effects to taking capsaicin, but it’s still a smart move to discuss taking it (as with any pill) with your doctor. So capsaicin has some incredible health benefits, and its heat is a culinary treat for millions across the world, whether that be in pepper form, hot sauces, or powders. This is a compound like no other. It’s what makes hot peppers so fascinating and healthy for you. 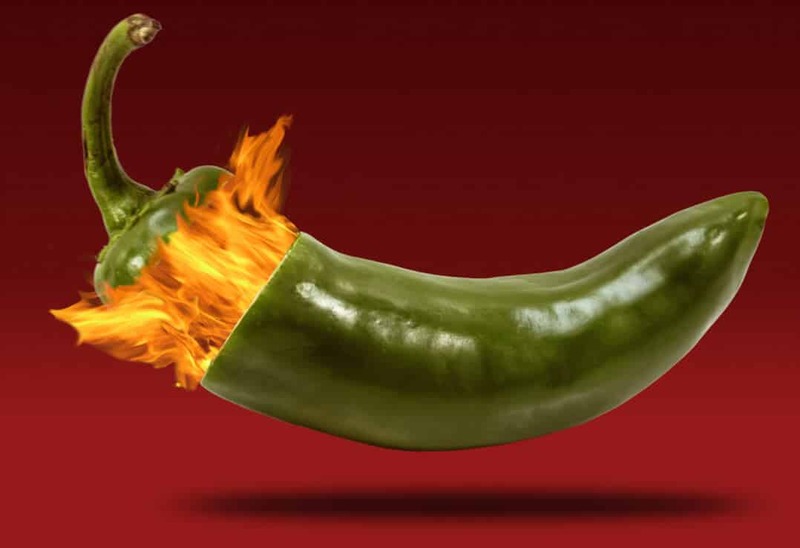 Take the sweat you get from eating a jalapeño as a sign that it’s doing its good work! Remember, though: As you move up the pepper scale, be sure to treat the hottest peppers with real respect. 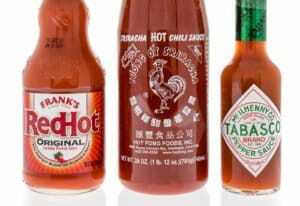 These things (with high levels of capsaicin and 100,000+ SHU) are seriously hot. You may want to work up the Scoville scale slowly before tackling some of the spicier varieties.